Genesis Casino was hatched relatively recently but looks and acts like a mature gaming partner willing to go an extra mile. Using space travel theme, the operator has created an intuitive website packed with tons of top-notch games provided by the likes of NetEnt, NYX, Microgaming and Play’n GO. New passengers will be offered to take off with €1,000 in their pockets plus hundreds of free-play opportunities, and the crew additionally promises to deliver “warp-speed withdrawals and full support from ground control”. At the same time, several trustworthy licensing organisations are making sure oxygen levels are kept high and passenger appropriately protected throughout their journey. 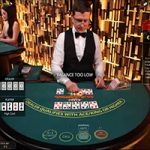 Making a decision to embark on such an adventure is not easy; that’s why Casino Bloke has prepared an in-depth Genesis Casino Review which will tell you what to expect every step of the way. 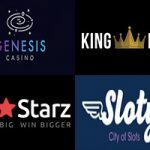 Genesis Casino was launched in April 2018 by an experienced team working at Genesis Global Limited. These are the same guys that brought us Casino Cruise, SpinIt and Sloty, and that piece of information immediately makes our expectations go sky-high. The Casino owns licenses issued by people you can trust, namely employees of the Malta Gaming Authority and the UK Gambling Commission. What’s more, most of the featured providers are regulated by the Government of Curacao. Having three licensing bodies carefully watching over the entire operation should be enough to give you a complete peace of mind. 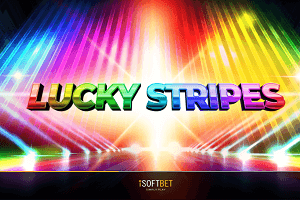 The usual SSL encryption is used to secure data transfers, while an RNG, tested and certified by either TST or eCOGRA, guarantees games are not rigged and you’ve got a genuine chance to land with money in your pocket. You’ll find the list of RTP rates for Microgaming products at the website itself, and those of other providers within their respective games. To help you “start your journey with a bang”, the operator is willing to hand over up to €1,000 in bonuses plus 300 spins on the house. They’ll double your first deposit of €10+ up to the value of €100, match the second one 50% up to €300 (WGEN2), and allow you to claim 25% up to €300 with the following two (WGEN3, WGEN4). Free Spins will be sent your way immediately after the initial deposit has been made and keep trickling in for 10 consecutive days. They remain valid for 24 hours, with winnings capped at €100 and subject to 40x play-through. Swedish players qualify for a 100% first deposit bonus up to 1,000 kr. 18+ | Spela ansvarsfullt | www.stodlinjen.se | Regler & Villkor gäller. As your space adventure continues, the crew will start serving Free Spins each Monday and a 25% bonus up to €100 on Fridays. Become a VIP passenger and they’ll also treat you to exclusive bonuses, monthly prize draws, tailor-made offers, personal withdrawal service (guess that means higher limits and faster cash-outs), holiday packages and other goodies. We heard it on good authority that fun tournaments should soon start taking place, so you may want to occasionally pop by and check if there are any worth joining. Genesis universe is populated by more than 1,000 casino games provided by giants such as NetEnt, Microgaming, NYX and Play’n GO. 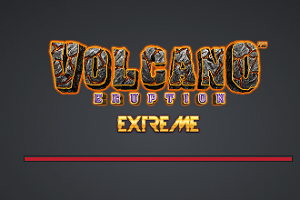 Nobody will ask you to install yet another piece of software to access these beauties; all games are available online and every single one can be played for free. 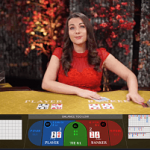 Fans of slots will be delighted to see a choice of almost 800 great titles, and those who prefer table games will likely struggle to choose among 80-ish variants using a wheel or a deck of cards to (hopefully) deliver winning outcomes. The collection includes European, French and American Roulette, classic Blackjack games along with Spanish 21, Double Exposure, Big 5 and HiLo 13, Pontoon, low and high limit Baccarat, Punto Banco, Casino Hold’em, Texas Hold’em, Pai Gow and Oasis Poker, Beat Me and Red Dog. Take a peek in the Others section and you’ll find Keno, Bingo, virtual sports, and unique games like Triple Chance Hi-Lo. Scratch Cards are stocked within their own category, and it’s odd the same wasn’t done with 30+ Video Pokers such as Deuces Wild, Aces & Eights, Bonus Poker Deluxe and Joker Wild Double Up. Another missing element is a dedicated filter for classic slots as these are a bit harder to track down, and being able to search this massive library by provider would be another welcome option. Jackpot Jester 50,000, Fire Joker and Mystery are three 3-reelers which have made it to the most popular list. Not sure if you can consider the last two classics, though; Fire Joker comes with a “second chance” re-spin and multipliers awarded via wheel of fortune, while Mystery Joker offers Scatter-activated free spins with a mystery win. As far as video slots go, there are hundreds of titles you’ll know by heart. Starburst, Hugo, Vikings Go Berzerk, Immortal Romance, Gonzo’s Quest and Troll Hunters and normally featured at pretty much every gaming site which hosts their respective developers. 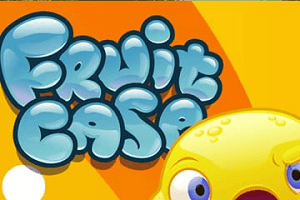 Casino Bloke, however, is always on the lookout for unique affairs like, for example, Fruit Blast from Skillzz Gaming. The grid area is filled with various game symbols in a manner one is used to, but everything else plays differently. Tapping on clusters of identical fruits fills their respective bars, and each bar filled grants a cash reward and helps you reach the next level. Once that happens, you’ll unlock a new bartender with their own special skills. Aloha will throw fruits into a blender to mix you a cash prize, Pat will offer free games, Koko lets you flip coins, Cassandra tasks you with choosing tiles, and so on. 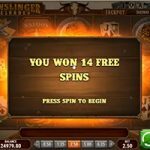 If on a mission to collect massive rewards with a single spin, check out the list of 30+ games with progressive jackpots attached. You’ll probably be most tempted by Mega Moolah, Major Millions and Arabian Nights, all with jackpots well above €1 million. It’s not safe to send Casino Bloke to a Live Casino powered by Evolution Gaming; there’s always a risk he’ll never come back. Could you blame him? 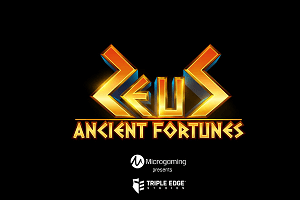 This amazing developer offers countless opportunities to enjoy realistic land-based gambling replica and relentlessly keeps dishing out new ones. Teamed up with NetEnt, Evolution has stocked Genesis Casino with more than 70 tables playing different Roulette, Blackjack, Baccarat and Poker variants with low and high limits. 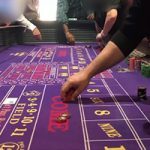 Players will find several Roulette tables hosted by native dealers from various countries, as well as unique games developed for a particular occasion (currently Football World Cup 2018). 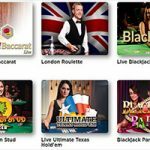 The same impressive package is available on the go, and even though there is the inevitable shrinkage of the gaming library, you’ll still find more than 700 slots, table games, Video Pokers and live dealer games. 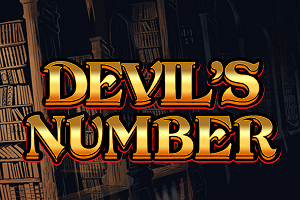 Once again, all are accessible via your favourite web browser and can be played for fun as well as real money. Site structure hardly changes, which indicates the creators had mobile gaming in mind from the very beginning. No matter if you use an iPhone, iPad, Android device or Blackberry, identical promotional offers are only a click away, and same functionalities included to make the experience as hassle-free as can be. Genesis Casino clearly caters to an international community since they are prepared to accept a number of different currencies and allow you to pay in EUR, USD, GBP, CAD, AUD, CHF, NOK, SEK, DKK, CZK, PLN, RON, BGN, HRK, HUF, PEN, KRW, GEL, TRY, UAH, RUB, ZAR,CNY, NYZ, MXN and NGN. The list of payment options is equally long and includes major credit and debit cards, most frequently featured eWallets, pre-paid cards, a couple of mobile payment methods and Bank Transfer. No matter which one you choose, the Casino will allow you to deposit or withdraw a minimum of €10. Processing of withdrawal requests takes between 24 and 48 hours. 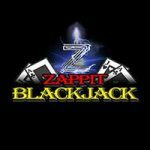 Getting to know a new online casino should start with the provided FAQ list, which in this case answers basic questions related to registration and security, financial transaction and bonuses. Is it the most comprehensive one we’ve seen? Not really. The good news is customer support team is available 24/7 and able to offer assistance in English, German, Swedish, Norwegian and Danish. The quickest way to get in touch is via Live Chat or phone, but one can also email them instead. The team is active on multiple social networks, among which Facebook and Twitter, so feel free to use those channels as an alternative. How often do you come across a new online casino and wonder: Why? Why bother if you’re not bringing anything new (and better) to the table? 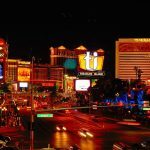 Players need to be offered tangible benefits in order to change their preferred gaming destination, but numerous newbies don’t seem to realise it. Or worse, they don’t care. Genesis Casino, thankfully, does, and the team behind it clearly knows their stuff. Huge gaming library is a real treat no matter the kind of games you’re looking for, and equally impressive on desktops as on mobile devices. The welcome package is attractive enough (if only there were no country restrictions), payment-related options and conditions convenient and friendly, support available whenever needed and accessible in multiple ways. 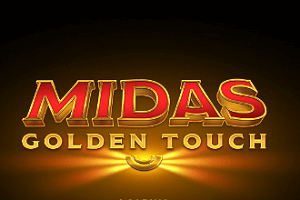 With a few minor adjustments to the promotional offering, Genesis Casino can easily challenge their top competitors and come out a winner.